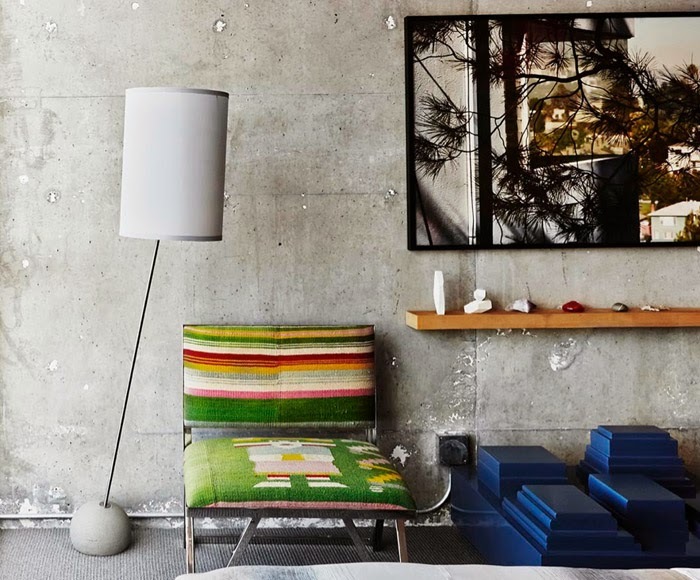 We were asked recently why we did Hotel Style posts, and to explain we said, we love looking for inspiration for our own home from less traditional spaces, such as boutique hotels, and commercial spaces. 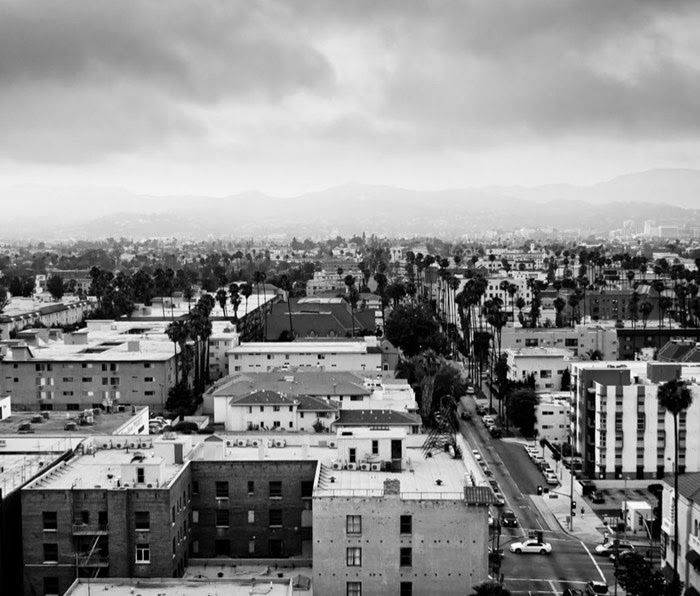 And this week we ran into The Line (online) and instantly fell in love. 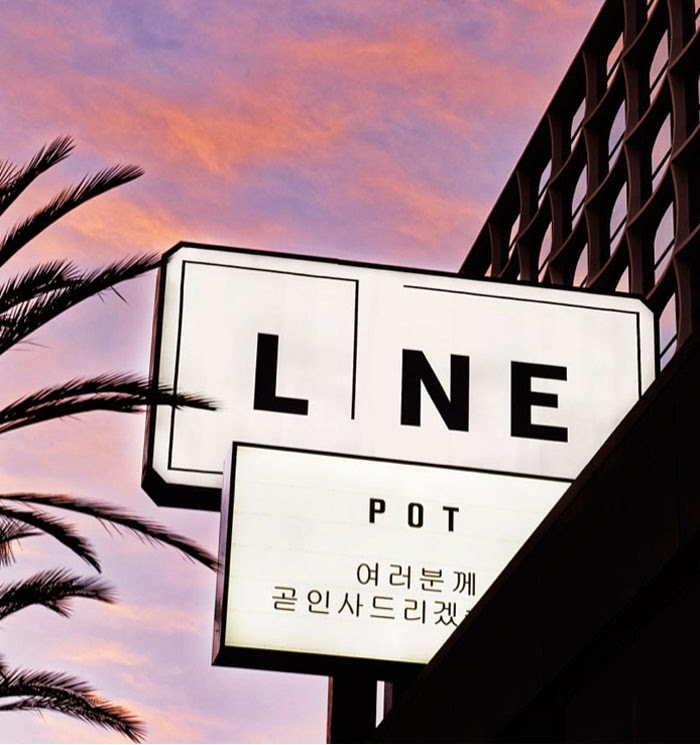 A collaboration by the Sydell Group (The NoMad Hotel in NYC) with Roy Choi, The Houston Brothers, Sean Knibb, and Poketo, The Line is a new hotel set in LA's Koreatown. 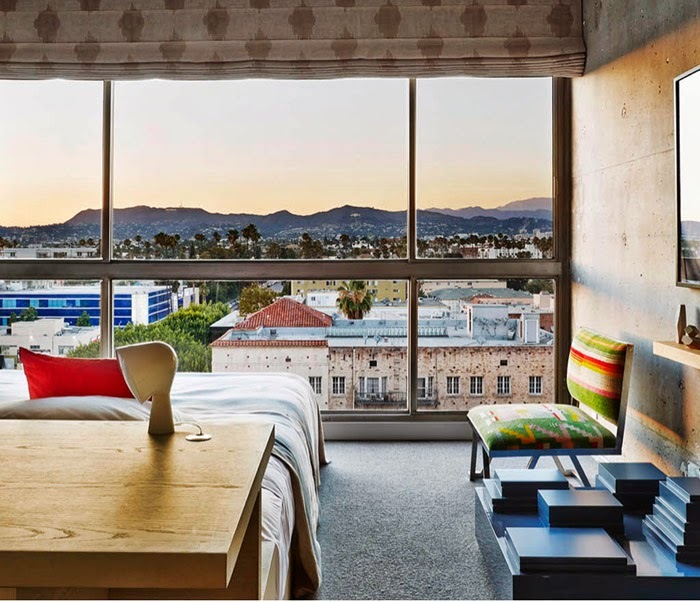 The mid-century building (previously a 60s Hyatt) has been restored and fully renovated with re-imagined public spaces and guest rooms designed by Sean Knibb. 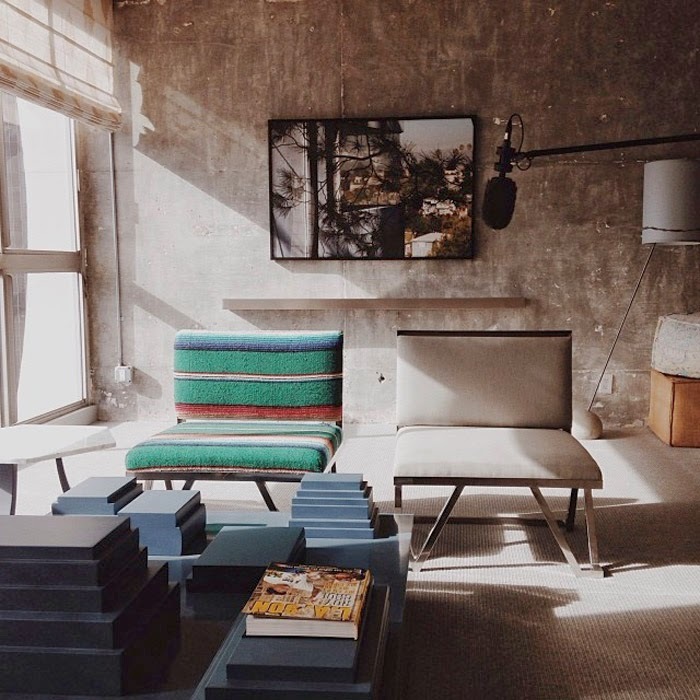 To start, check out the serape-upholstered chairs. Definitely a highlight in each room designed by and available through Sean Knibb. Nice yes? 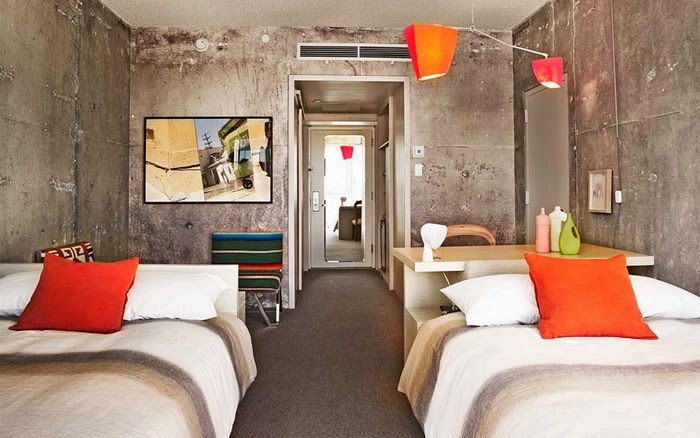 Pops of orangey-red pillows and lighting make for fresh guest rooms. Room with a View (beds face out to enjoy the view). 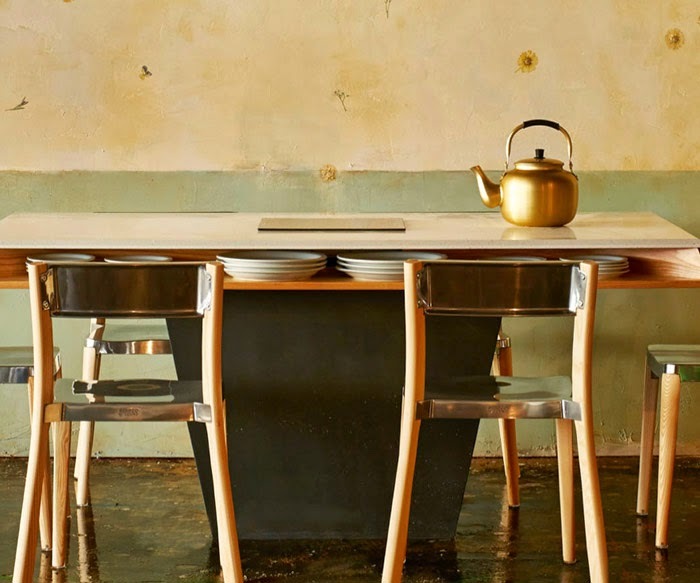 Lots of decor inspiration also at POT, a Korean Hot Pot-style restaurant scheduled to open in the hotel near the end of March along with a nightclub and a fun small Poketo shop! oooOOOH I agree, aren't the upholstered chairs fab, they totally lift each room and create fantastic focal points and the colours can then be continued throughout he scheme with other accessories. 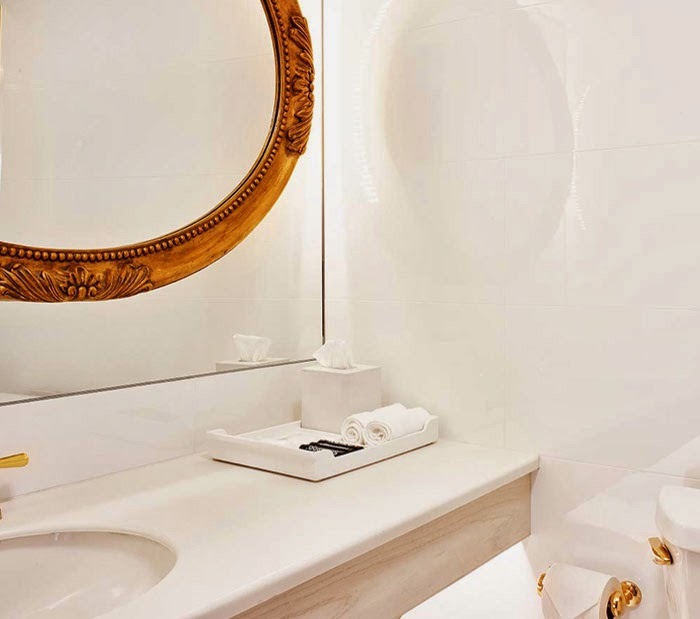 The gold bathroom fixtures are tres chic, really stand out.